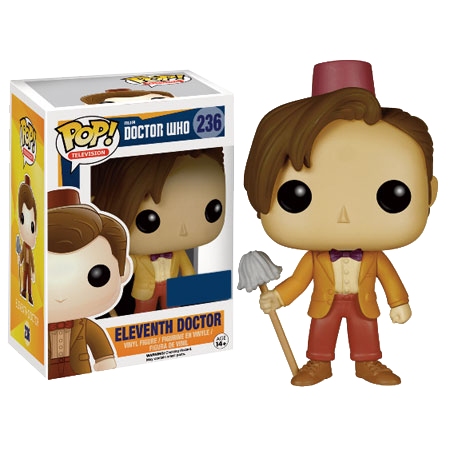 The Eleventh Doctor’s fez and mop were originally used to help explain his time travel antics in The Big Bang, but they proved popular accessories and now accompany him in this super-stylised Pop! Vinyl figure. Geronimo!